These days, my cat joyfully bats around homemade toys upcycled from the garbage. But thereÔÇÖs a decidedly ungreen skeleton hiding in the closet of his kittenhood, and itÔÇÖs time to come clean about it. My cat, Furball, is the poster child for eco-friendly cats. He uses natural kitty litter, eats organic cat food, and uses a scratching post that has been recarpeted too many times to remember. If that’s not enough, Furball also inspired a book on how to make your own eco-friendly cat toys, and he has his own blog on green tips for cats that’s read worldwide by thousands of cat lovers. You see, Furball has a deep dark secret. 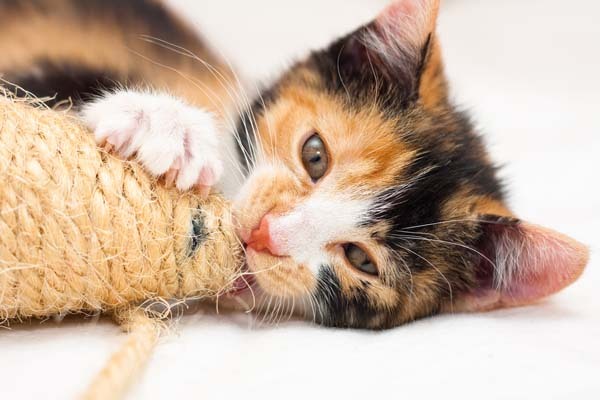 While he joyfully bats around homemade cat toys upcycled from "garbage," there’s a decidedly ungreen skeleton hiding in the closet of his kittenhood — and it’s time to come clean about it. When I adopted Furball from the Humane Society, I had all the best green intentions. I was working at World Wildlife Fund and I was going to make sure my cat was green, too. When Furball arrived home, he was so happy that he purred nonstop for 20 minutes. Little did I know that this was the calm before the tornado. Once Furball settled into his new surroundings, he promptly let me know what his number one priority was. It wasn’t food, and it wasn’t affection — Furball wanted to play. He lived and breathed to play. He was a nonstop ball of adrenaline from the moment he awoke until ÔÇª did he ever sleep? 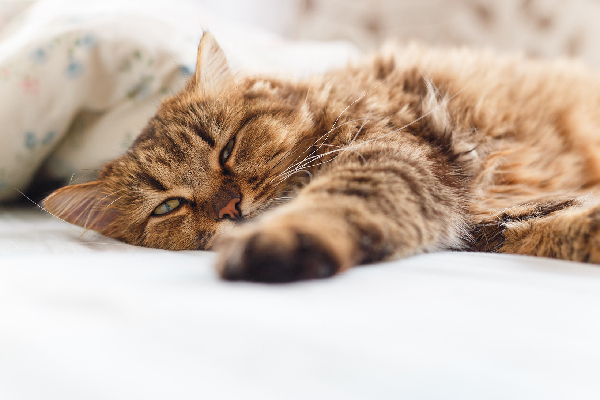 I’d read about cats napping for hours on end, but this cat would not sleep a single wink for 16 hours straight. All he wanted to do was play. My cat was also very particular about how he liked to play. While most kittens were overjoyed if you dangled a piece of string in front of them, Furball insisted on highly interactive play. If I wasn’t actively engaging with him, he would let me know his displeasure by promptly attacking the next best thing — my arm, my leg, my eyelash (let’s not go there; it’s a painful story). As a result, I found myself visiting pet stores and cat boutiques with alarming frequency. I would scour the shelves for any cat toy that might hold my kitten’s attention for even just five minutes. I must have spent close to $75 on cat toys during the first three months of Furball’s life. Nothing would keep him satisfied for long. The toy casualties were many, either torn apart in the battlefield or tossed to the sidelines because he lost of interest. I became increasingly disturbed by the pile of discarded toys accumulating in my home. It was especially troubling to me because I was a lifelong environmentalist. I worked at the WWF to save the planet. How could I, of all people, justify the waste? Something had to change. My moment of returning from the dark side came when one of Furball’s $5 cat toys fell apart after just a couple of weeks. I examined the remains on the floor and realized that the crinkly noise from the toy was made by a square of plastic that looked like it had been cut from a grocery bag. It gave me an idea. I grabbed a plastic bag and a pair of scissors and opened the kitchen drawer of assorted knickknacks. Within ten minutes, I had invented my first cat toy — and it was a runaway success. Furball loved it! I named the toy the Flippity Flappity Flag. From that moment on it became one of Furball’s favorites. It was such a success that I was inspired to invent dozens of additional cat toys. I came up with so many toy ideas that I eventually wrote a book on how to make eco-friendly cat toys and thus began my blog on green tips for cats and cat lovers. All it took was a little piece of plastic bag and a sprinkle of creativity to break free from the cat-toy-buying treadmill. If we can do it, so can you. Go ahead and open up that kitchen drawer full of stuff, and allow your imagination and your cat to run free! 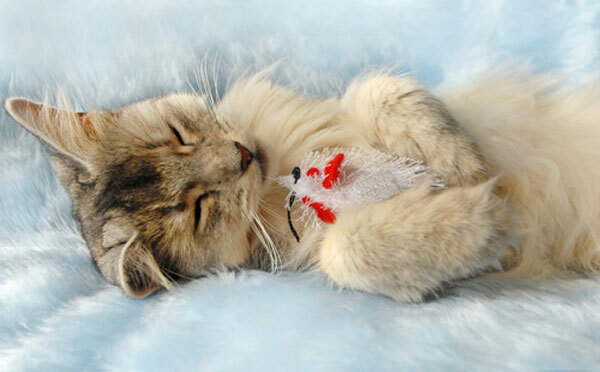 Photo Credit: Kitten with toy (up top) via Shutterstock. 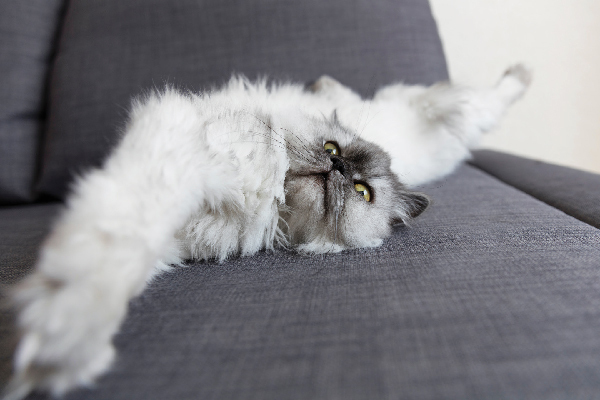 We’re looking for purrsonal stories from our readers about life with their cats. 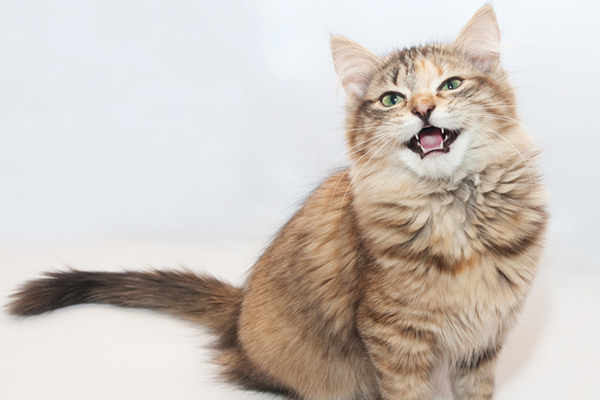 E-mail confess@catster.com, and you might become a published Catster Magazine author!